The Misting System comprises of 6 x Large Gym fans with metal misting rings, serviced with pressurised water forcing filtered water under pressure thru the 5 x tiny metal nozzles on each metal misting ring. The misting rings are mounted to the front of each 75cm diameter wall mounted gym fans. At the point of misting, the pressurised water mist, at its smallest size, instantaneously evaporates using about 10 – 12 degrees of thermal energy from its immediate atmosphere, to fan blow this cooled air around the boarding environment, maintaining an ambient cooled temperature, accordingly. The misting system working with a combination of EXTRACTION FAN drawing in fresh air & the misting-rings & fan systems instantly cooling & maintaining a continual fresh cooled ambient air supply throughout the internal building. All doors & windows are open with continual cooled air movement, effectively creating a healthy building. 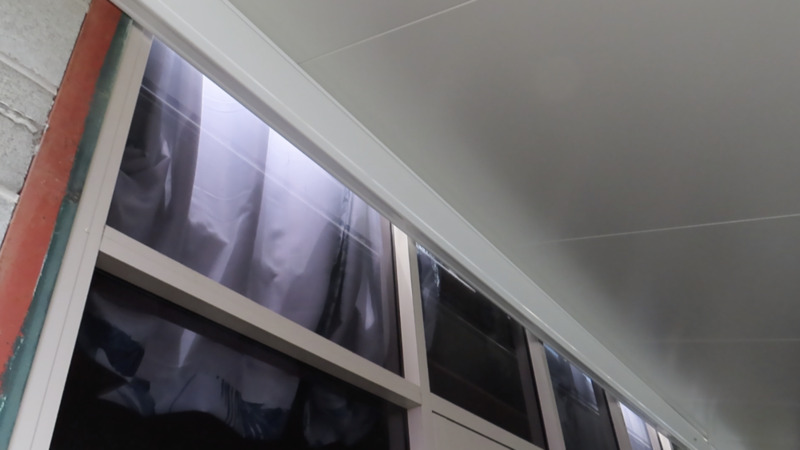 This misting system differs from Air Conditioning, which is refrigerated & recycled air maintained with all doors & windows closed; and effectively creating an unhealthy building. The misting system differs from an Evaporative Cooler, where air is forced through water to decrease the air temperature within the building. All doors & windows closed; and effectively creating an unhealthy building.